In this digital age, most of us work with advanced technology in some form or another. The typical office worker, and I include myself in that category, uses tools like email, text, Excel, Word, and Slack, among others. The product of our efforts usually includes things like a cool graph, an articulate email, or a comprehensive spreadsheet. This technology consumes our work lives. Because our work-product is now more digital, it’s hard to distinguish between useful and non-useful work. Is the time spent using those tools considered useful? Was it time that resulted in a change? Did it move the something forward? Technology makes us think we’re being productive but, most of the time, we’re not. The line between what is useful and what is not has become blurred. It’s hard to distinguish between activities that are wastes of time and ones that have a positive impact on your organization. 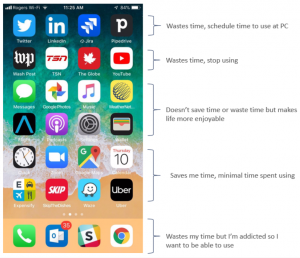 The new iOS 12 feature on the iphone shows a scary fact: the amount of time we spend on our phones. I spend between 3-6 hours a day on my phone. This isn’t bragging; it’s a sad fact. I even evaluated my apps to determine the value I was getting from all the time I was spending on them. The result was predictable – my iphone is a time-waster. The best apps are the ones that are transactional – sometimes a small amount of interaction can save a lot of time. The worst ones are generally for communicating – social media sites are great but their value to my time is limited. This is not time being productive, and it’s not just me. Humans are not good at multitasking, or context switching. Like magpies, we get distracted easily by shiny things. However, humans are good at a lot of other things – working together, communicating face-to-face, and making decisions. So why are we spending so much time using technology, and now technology enhanced by AI? We equate productivity with connectivity. Somehow, we have fooled ourselves into thinking, because we are connected on our phones all the time, we were doing something that is impactful or valuable. 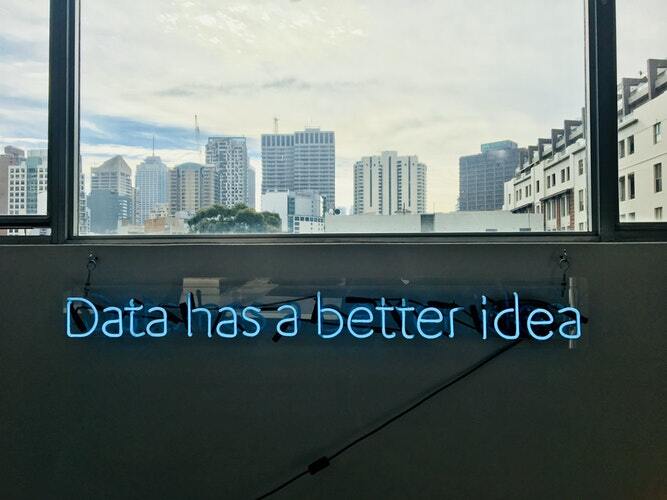 At work, the link between your actions and your business goal are hidden in the data. The decisions we make are based on information available to us, but much of it is out of reach. The tools we use (like Excel) are ineffective so it’s no wonder that less than 1% of the world’s data is analyzed. AI can get a bad rep when it is not about getting the individual to do the best thing for them. It’s either about trying to get us to do something different (buy a product that we don’t really want or need) or about trying to understand us so well that the company can see the opportunities in that individual’s existing behavior. That’s not always productive or helpful. Many technology companies are motivated by the amount of time they can maintain our attention, which is likely misaligned with what we are trying to do. At work, the gold mine of information cannot be mined with Excel. That’s where augmented management comes in. Augmented management uses AI to uncover the relationships between action and results to help direct leaders to opportunities. It’s AI supporting decision-making so that we use our time better. After all, AI should consume our inefficiencies and not our time. Our relationship with AI is changing rapidly but we can’t forget that we are still at the wheel and we need to use AI mindfully. AI is amazing and can significantly increase our ability to do things. It’s staggering to think of all the AI advancements we are witnessing and actively participating in. It’s enhanced our lives in so many ways. However, it can’t tell us to do something useful. It can only help us complete what we decide to do more efficiently. It is still up to us humans to decide how to use our time. And that alone is more valuable than anything AI can offer us.